Mr. Best Boyfriend attempted to make Spanish paella, and this is the result of his hard labor in the kitchen – it looks nothing like Spanish paella, nor did it taste anything like Spanish paella. *interruption: If you are in the San Francisco area and want to try something new, try Zarzuela (it’s a Spanish Tapas Bar). 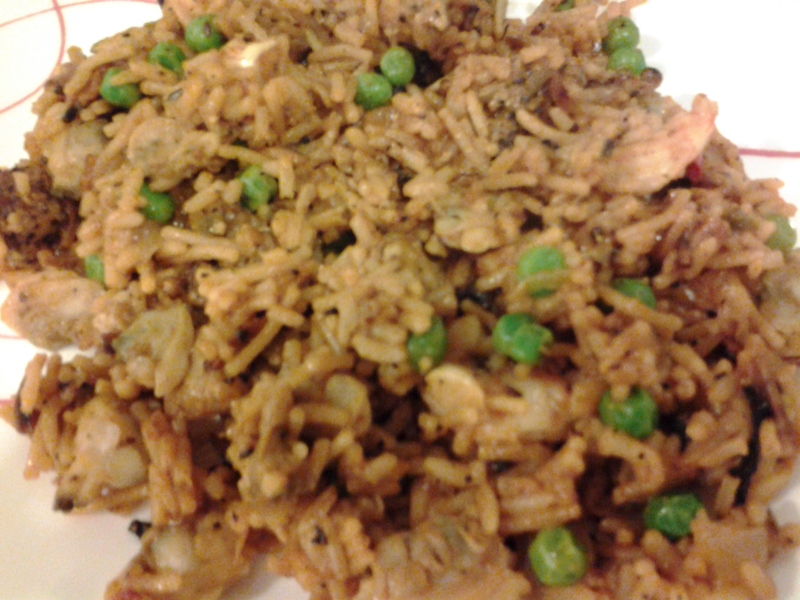 *back to his cooking style: Truthfully, his version of paella reminded me of chicken fried rice, which is why I say it is a “paella” inspired meal. The man friend (who here on forward will be known as Mr. Best Boyfriend – he chose this name) and I have been cooking at least five days a week – this is not only to save money but to eat healthier. To save even more money, we use leftovers as our lunch meal for the next day. Eating out for lunch can be quite costly, one person can spend up to ~$50 a week for lunch, meaning ~$100 for the two of us. Mr. Best Boyfriend and I split and take turns cooking on different days. If we both get home around the same time, we will help the other prepare his/her meal. 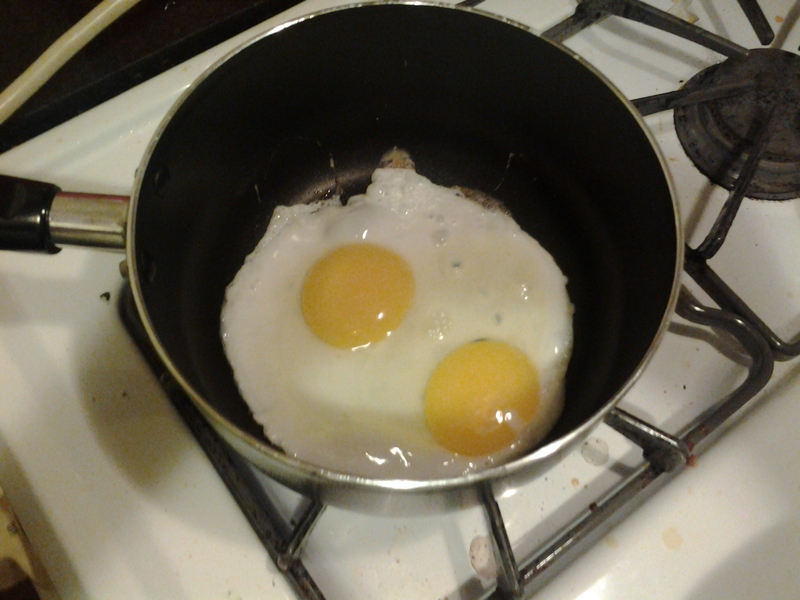 But sometimes with the both of us in the kitchen, it can be disastrous since we both has such different cooking styles. But in the end, we always get a good tasty meal with whoever cooks. 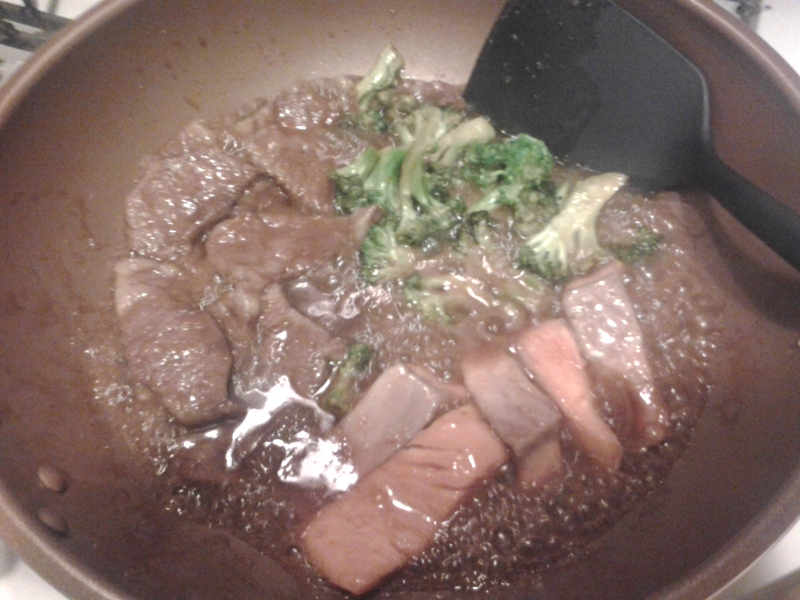 His cooking style equates to throwing everything into the same bowl to be marinated (shorts ribs and salmon) and the same wok to be cooked (as pictured: short ribs, salmon, and broccoli). At first I was a bit concerned that everything was being cooked together but I trust Mr. Best Boyfriend so I let him do his thing. 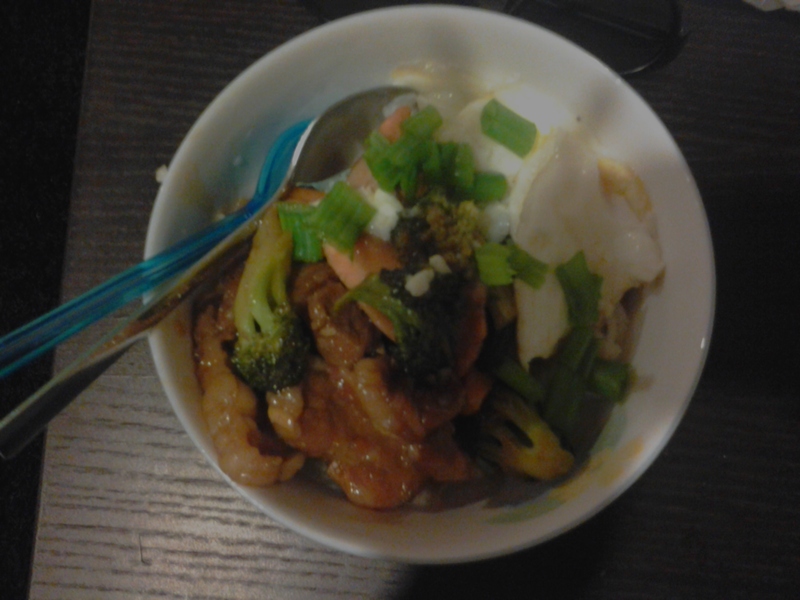 It was such a delicious meal that I wish there was more to put into my bowl for seconds. I guess it doesn’t matter how one cooks but it’s the end result that matters the most! Mr. Best Boyfriend doesn’t think he is as good of a cook compared to me, but I am just lucky enough that I have someone to feed me (well, I feed myself too).